The Tigers’ matchup foretells a huge evening for Ferguson—high-ceiling, low-floor fantasy performer—against the Huskies on Friday night. By far, UConn is the worst pass defense in the country. There is no reason to cease inserting quarterbacks into CFB lineups, suiting up against coach Randy Edsall’s secondary. Over the last three games, Ferguson has thrown for 1,007 yards and nine touchdowns. He undoubtedly duplicates those numbers for astute fantasy owners. Defensively, the Green Falcons rank #110 in points allowed per game (35.4) and travel to Miami (OH). 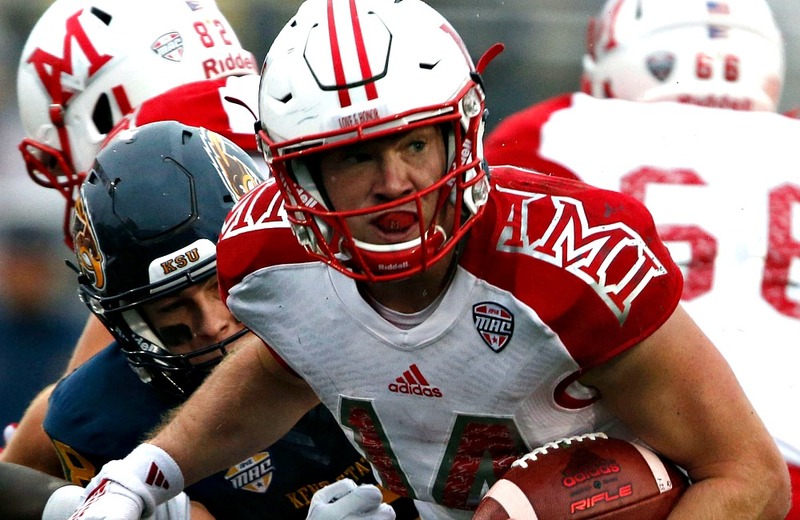 The Redhawks’ offense crashed against Notre Dame last week, scoring only 17 points. Quarterback Gus Ragland averages over 228 passing yards and two touchdowns per game. The sophomore signal caller, who is not a dual-threat competitor, has scored twice on the ground to bolster his fantasy production. Bowling Green will not be able to slow the QB-WR connection between Ragland and James Gardner. Nevada is virtually as bad in the back end of the defense as UConn, ranking #129 in the nation versus the pass. The Rainbow Warriors are a better offense than college fantasy footballers perceive, and should score at least 30 on Saturday. Over the last three games, Dru Brown has averaged 289 yards passing and passed for five touchdowns. He will continue scoring points for fantasy managers this weekend. Senior Kyle Hicks is expected back after missing the last six quarters with an undisclosed injury. While Hicks watched from the sideline, Darius Anderson opened the coaching staffs’ eyes as well as those of college fantasy footballers. The sophomore leads the Big 12 Conference in touchdowns with six and is fourth in rushing with 422 yards. TCU paces the Conference in rushing, averaging over 230 yards per game. In a match with an expected 73 points, there will be plenty of touches available for Anderson and Hicks. The Big 12 annually provides fantasy points on a weekly basis. It astonishes that Kansas running back Khalil Herbert remains on the waiver wire in so many leagues. On defense, the Red Raiders rank #92 in points allowed per game (30). Over the last two contests, Herbert has procured 55 carries for 428 yards and four touchdowns. 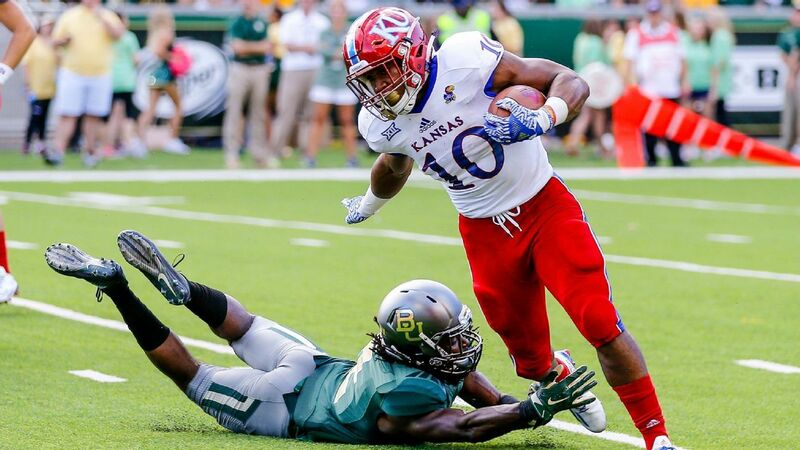 The Jayhawks must control the clock in order to remain in the game: Expect Herbert to garner 20 carries and make at least three catches on Saturday. The Vandals surrender over 200 yards rushing per game and 4.7 yards per carry to opponents. Trey Ragas might be overlooked this week by college football diehards. The Ragan Cajun sophomore has earned an increase in carries every game this season (4, 11, 14 and 17), and over the last three games, has gained 314 yards rushing and scored three touchdowns. If a college fantasy footballer needs a ball carrier this week, Ragas is clearly worth starting. The Red Hawks totaled only 17 points at Notre Dame; nonetheless, James Gardner rose to the occasion, snatching five passes for 115 yards and two touchdowns. He has a great rapport with QB Gus Ragland, recording 21 receptions for 409 yards and four touchdowns this season. Both starting corner backs for the Green Falcons are under six feet tall and less than 190 pounds. At 6-foot-4 and 216 pounds, the junior receiver can effortlessly out muscle and out jump the defenders on Saturday. 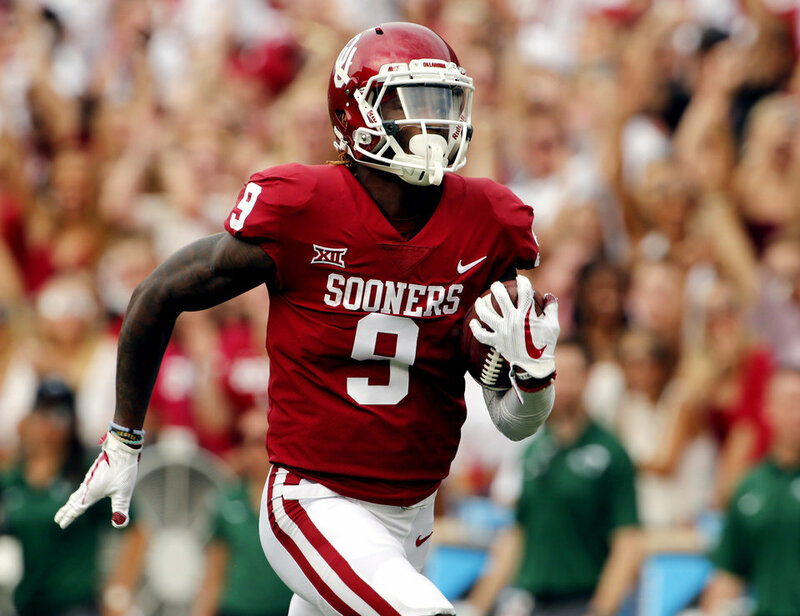 A four-star recruit out of Texas, the freshman receiver has surpassed the hopes of the Sooner faithful in the first quarter of the campaign: Lamb has 15 receptions for 281 yards and three touchdowns. A home run hitter, he has averaged 21.6 yards per catch and scored twice, including an 82-yard touchdown against Tulane, in the last three games. Oklahoma scores 48 points per game (4th in the nation) and is expected to post another 40 against the Cyclones at home. An exodus of talent—QB Zach Terrell and WR Corey Davis—from the program at Kalamazoo concerned college fantasy football fans, who bypassed all components of the Broncos’ aerial assault in drafts. Over the last two weeks, Keishawn Watson has grabbed 11 passes for 138 yards and four touchdowns. The 6-foot, 185-pound RS sophomore will continue producing points against the Bulls.